We are digital marketing strategists. A team of creative designers, thinkers, website developers, content writers, SEO & analytics enthusiasts, changemakers, dreamers and disrupters. The digital landscape is constantly changing. We know how intimidating it can be. We are here to help you! For us, digital marketing is home. It’s where we’re constantly learning, evolving, and sharpening our skills. How we do it? We demystify digital marketing. We use simple words for you to understand technology. Give us a call if you need digital marketers who will walk the journey with you. At Them You & Me, we work with businesses regardless of their size to plan a digital marketing strategy to define their objectives and set clear goals. A digital marketing strategy involves many touch points. It promotes companies and products online to a specific audience. You don’t need to be online everywhere but rather identify which digital marketing channel works best for your business. You may not have the knowledge or time to tackle digital marketing on your own. Look at us as an extension of your team and your long-term partner to guide you through the ever-changing digital ecosystem. We take you on a digital journey and we strive to add a human touch in everything that we do. You take care of your business. We take care of the tech. We will make it fun! We will help you get to where you want to go, one digital step at a time. If you are in Singapore, let’s meet over a cup of coffee. Or, you can just Skype me. As a first step, we’ll meet for a one-on-one clarity session. This is where you tell me all your struggles, frustrations and aspirations. Spill everything that’s bothering you – I promise you transparency, honesty and strategic advice. We’ll identify the gaps and start getting your business in order online. We’ll brainstorm ideas and you’ll leave with a fresh point of view and clear next steps. Being mentored may be new to you. We will take one step at a time. After our clarity session, you’ll have a clear idea about what’s going on and what you need to do to get everything back on track in the digital space. Together we’ll create a tailored solution plan to give you peace of mind. We’ll determine exactly how long the mission will last and what will happen. Over the time we work together, I’ll be your second in command, working from behind the scenes and championing you while I structure, organize, and fill in the gaps. If you need a fully customized approach or have a completely different idea in mind, I’ll meet you wherever you’re at. Sometimes things are not so clear in the beginning, but suddenly, everything makes sense as you move forward. Meet me and let’s make sure there’s chemistry. I’m here to fit your priorities and schedule around your digital marketing needs. Call me crazy, but I love to see other people happy and succeeding! 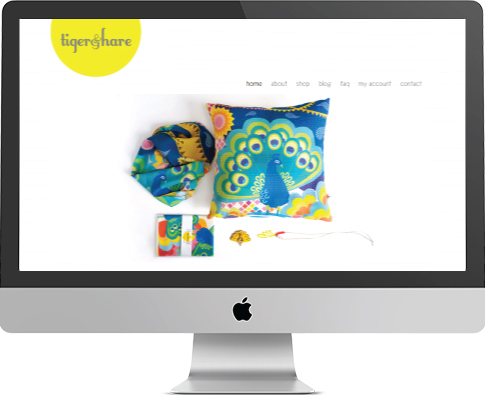 Tiger & Hare is a fun and quirky design and accessories label in Melbourne, Australia. The Founder and Designer Amanda Chia approached me to optimize the shopping experience, rewrite the website content, set up the SEO (Search Engine Optimization), generate content for her blog and handle her Instagram account. The objectives were to facilitate user experience, raise awareness and grow traffic to her website. 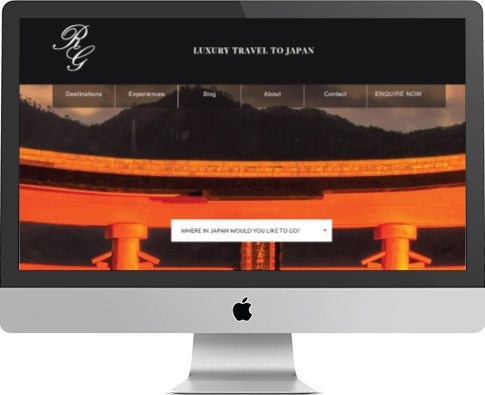 Regency Group in Tokyo launched an inbound division two years ago, Luxury Travel to Japan. Mr. Isao Numano and his team design unique and bespoke experiences in Japan. My role as a digital mentor and implementer involves looking after the maintenance of the website, managing various updates, new page creation, search engine optimization, content writing for the blog and social media platforms. I occasionally, and when needed, designed flyers and branded visuals. I have known Mr. Numano for 8 years now. In the ‘everything digital’ world, it’s very hard to find someone authentic, creative and energetic like Marie. I am so glad I found her, and I call her my digital mentor! She is someone who will walk the little steps with you, and prepare you for your marathon. She did exactly that with me! Thanks to her, I embrace digital in a very positive and pragmatic way. My book, website and social media speak for themselves. Working with Marie and her team is energizing and inspiring. She has vast experience working with people from all over the world. I highly recommend Marie’s services in all things digital. Marie is curious, always looking ahead, displays an amazing sense of teamwork, and is always learning and challenging herself. Nothing stops her and she embraces change and challenges with a positive outlook. It is always enriching to brainstorm and discuss new business opportunities and projects with her. She is passionate and authentic. She has what it takes to be a fierce ally and help you manage your business in a genuine and discreet, yet powerful way. She wants to make a difference and she certainly does! Marie is really passionate about making entrepreneurs like myself succeed and she takes her work at heart. She’s very meticulous and, although I can be quite demanding, I trusted her fully to handle the implementation of the SEO structure. Marie ensured a good management of the project which I would attribute greatly to her exceptional communication skills. She doesn’t hesitate to pick up the phone to clarify any point that needs it so nothing unclear is left hanging in the air. She speaks a language that non technology-oriented people can understand, which I found quite reassuring when tackling a topic such as SEO that can be intimidating to many. If you’re looking for an encouraging and down to earth support for your business, I would recommend her unreservedly. We have been working with Marie for many years now and we required her services when we launched our inbound travel division. We needed an outside voice for guidance, a fresh perspective, and someone trustworthy to handle our upcoming challenges. She managed our content strategy and brand awareness, and guided us through the best practices. Marie completes our team and helps in so many ways, with so much patience, flexibility, and contagious positive energy and attitude. She has the passion to share and explain the process along the way. She is an inspiring presence and we consider her as part of our family/company. I have had the chance to have Marie as a friend and digital mentor. She is hands on and highly competent. What I love the most about her is that she cares. She cares about me as a friend and as a client, about my well-being and my success. That's her primary goal. I can relax knowing that someone is taking care of me as I put myself out there through digital media! As a former lawyer and a yoga teacher, I am still a novice when it comes to digital marketing and social media. Marie is organized, skilled, and will push me to get to where I want and need to be! Marie is a super personable and caring advisor to our business who really walks along with us on our business journey. I think she can be that to your business too. She is also a great organizer who keeps you accountable, and is extremely reliable in helping you create great management frameworks which can be easily leveraged by busy entrepreneurs to keep growing their connections, customer-base, online presence…whatever you name. Working with Marie makes you ever more enthusiastic and open-minded about your business and its real potential. I believe she will be an amazing motivator for you and your team. Marie is a dream to work with. She explores and approaches business challenges in a dynamic manner, is enthusiastic, detail oriented and results driven. She is flexible and easy to collaborate with on projects with tight deadlines. Her expertise and shared personal passion for helping your business grow and evolve, inspire you to strive for excellence. Marie has been taking part of the French Chamber for the past 4 years. 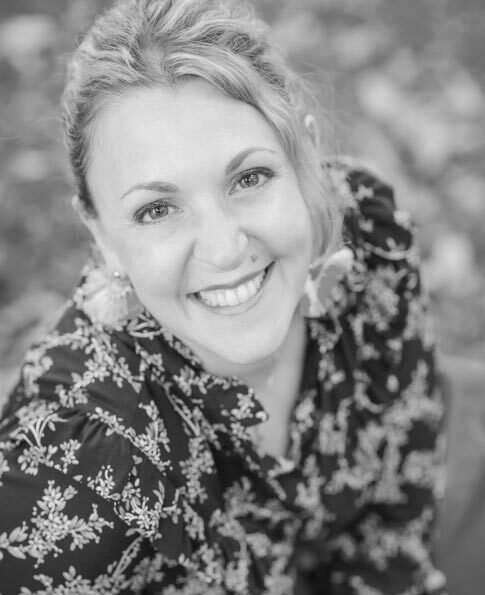 During many sessions dedicated to our members, her knowledge and expertise have aided in demystifying and guiding our companies through their recurrent digital marketing challenges: strategy, website optimisation, social networks... I feel confident in recommending Marie's services. She is not only thorough but also easy to work with and always willing to take the time to discuss all about digital, respond to questions from our members with a pragmatic approach. I have contracted the services of Them You & Me for our corporate website as well as SEO coaching. I would strongly recommend Marie and her team to anyone: they are extremely professional at looking at all details, from SEO to design and client’s experience. Marie has helped me reviewing the entire marketing approach of our business. She was always available to answer my questions and she provided me the proper tools/reading material needed to manage myself our communication and SEO strategy. Each one of us has the power to change lives. We partner with B1G1, Business for Good, to make a difference in the world. Each time you hire our digital marketing services, we create meaningful impacts together. Yes, it is that easy! Thank you for being part of a more giving community.